For years the film archives of London have worked together to build up a rich collection of the city's history on celluloid. Now, we're giving you the chance to see these movies on a screen with a difference - we're hitting the road in the KinoVan, a cinema-in-a-van with a big community spirit. 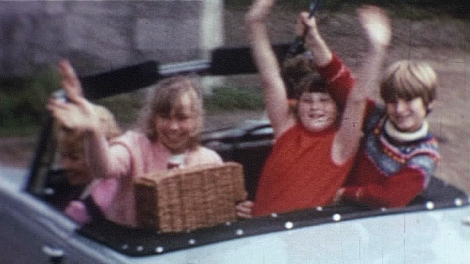 From the majestic shots of a frozen Trafalgar Square in the 1960s offered by the Davis Family Films to the scenes from Hounslow, Hackney and Wembley during the 1953 Coronation - via an old fashioned Christmas knees-up on Barking and Dagenham's Beacontree Estate, filmed by the Boulter family - the KinoVan is giving you the chance to glimpse London's history like never before. And you won't just get to see the films. With a local spin on all screenings, we'll be providing the history behind them too. Explaining the mobile cinema at its launch at the British Museum today, Film London CEO Adrian Wootton said: "Like a Tardis on wheels, we are effectively giving people the chance to time travel: to stand in front of the screen and see the past hundred years reel before their eyes." Recorded by professionals and amateurs alike, London's social history has been captured on camera in newsreels, family super-8s and early camcorder home movies. Thanks to the KinoVan some of these are being seen in public for the first time. With carefully curated programmes showcasing the best of local archives, the KinoVan's mobile archive is taking these secret gems of cinema history to the streets in 15 of London's outer boroughs, providing a new insight into the local area. As the KinoVan makes its way across the capital it'll be giving you a chance to be a part of this unique project by bringing your home movies and telling us the stories behind them. While the archives are packed full of great films, there is always room for improvement and we are particularly keen to build a collection that reflects London's diversity. With the advent of cinema, local authorities desperate to get public health messages out to the crowded London streets spotted an opportunity: take the message to the people. In a van. 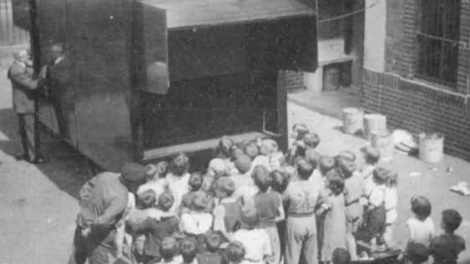 They created a cinema system that could be driven around and pull up wherever needed to show public health and other informational films to the people on the street. The vans were used from their inception in the 1920s up until the 1950s. We thought that they were such a good idea, we're bringing them back - to bring you gems from your local film archives. The KinoVan forms a key part of London's Screen Archives' major three-year project London: A Bigger Picture, funded by the Heritage Lottery Fund. Want to bring archive magic to your local area or event? 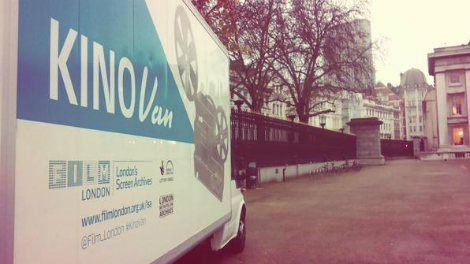 Email screenheritage@filmlondon.org.uk to arrange a visit from the KinoVan. With enough notice we can even curate a special bespoke programme for you!